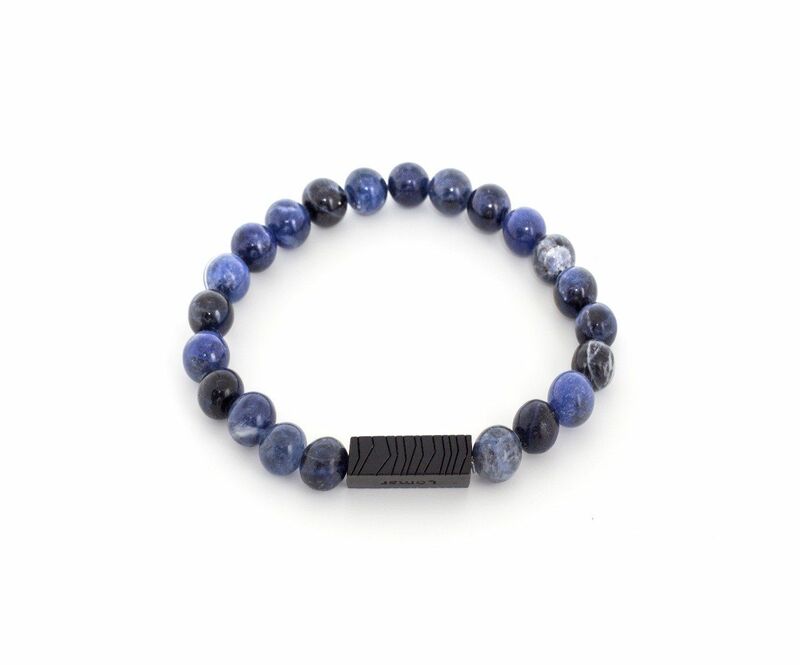 A unique dark blue bracelet made of Sodalite stone, decorated with a Lomar logo in black matt finish. - Stylish and unique design. 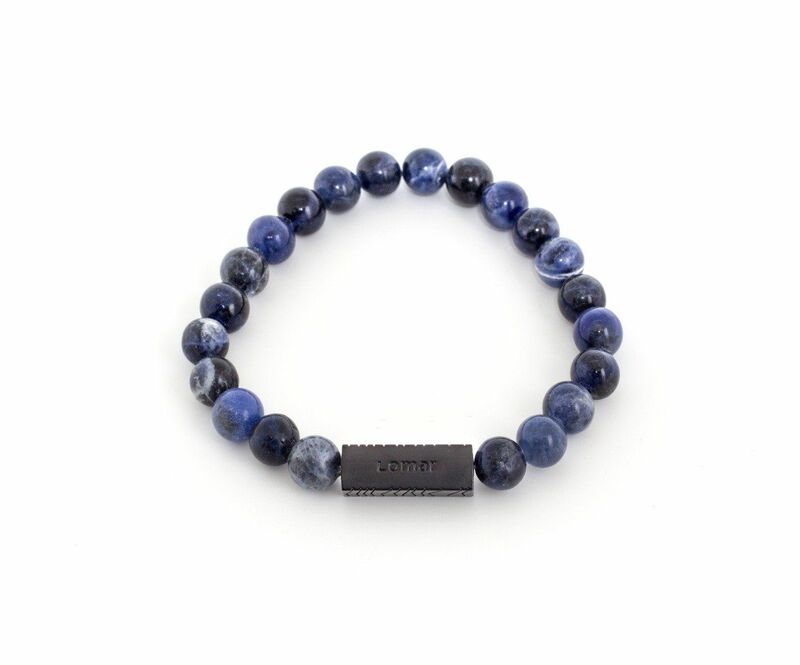 - Made of Sodalite stones. - Beautiful and distinctive color.